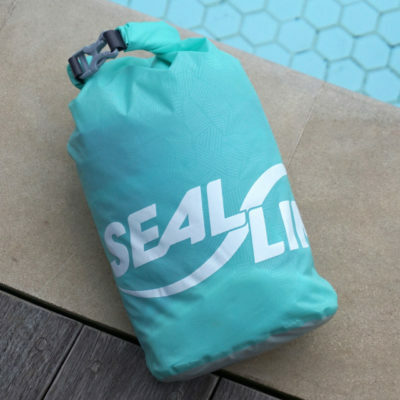 There’s only a limited amount of space in your suitcase or backpack, but you really don’t want to have to travel without a beach towel. A hamam towel is the solution! 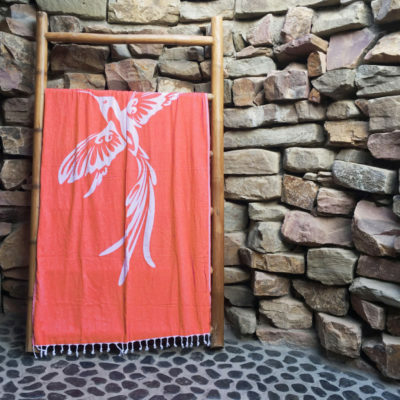 A hamam towel is lightweight (280 grams) and just as large as a beach towel. The hamam towel beach ‘Harmony’ (280 grams) has really cheerful colors, is stylish, dries very quickly and can be used as a towel, beach towel, or wrap and in many other situations too. Check out our full collection of hamam towels! Why the hamam towel beach ‘Harmony’? The hamam towel beach is made of 100% absorbent organic cotton. The towels are produced in Turkey using pure Turkish cotton. 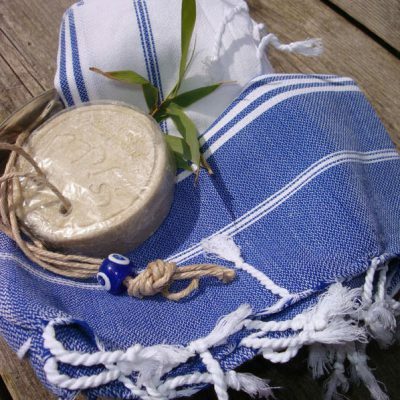 The towels have been woven in a sustainable way with respect for people and the environment. These hamam towels are produced under sustainable conditions using sustainable fabrics and yarns. The hamam towel beach weighs 280 grams so you will always be able to fit it into your suitcase or backpack. 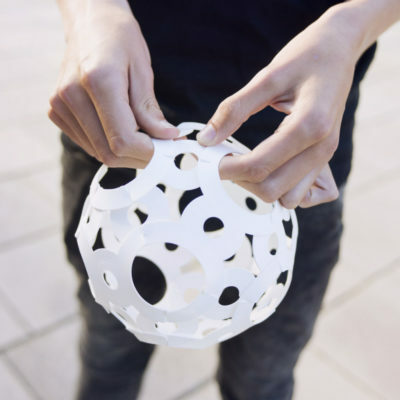 We recommend using it as a blanket or scarf on a plane and/or bus. 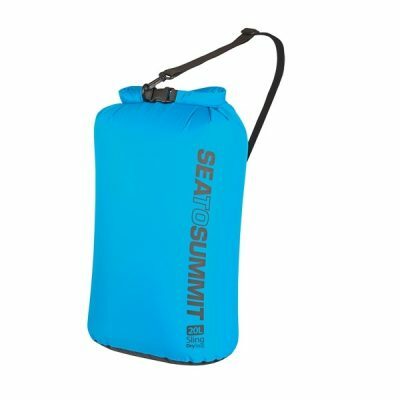 It keeps you nice and warm and saves space in your checked baggage. You can use the hamam towel beach ‘Harmony’ in all kinds of situations. As we described earlier, the towel makes a perfect blanket or shawl on a plane or bus. The hamam towel beach dries quickly, so it’s the perfect lightweight towel. It also makes a great wrap for you or your kids. Do you plan to visit temples? Then the hamam towel makes a perfect Sarong. And you can obviously use the towel as a beach towel on the beach. We recommend soaking the hamam towel in cold water for a day before you use it in order to minimize shrinkage during washing. You can then wash the towel at 30 degrees in a little detergent without fabric softener. Using fabric softener will diminish the towel’s moisture absorption qualities. The hamam towel beach will keep looking great if you don’t put it in the dryer or iron it. The dryer may cause shrinkage and will affect the colors, just like ironing does. It’s best to hang the hamam towel out to dry after washing it to let it dry naturally. This will keep the colors looking great even after lots of use! Need more hamam towel inspiration? We offer a wide range of hamam towels. From XS hamam towel sets (100 x 50 cm) to hamam towel XL (200 x 220 cm). 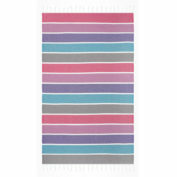 But we also have hamam towels in cheerful prints, colors or more mellow towels. 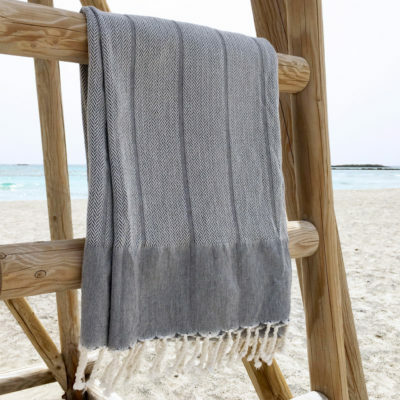 For example, the hamam towel Romance with colored stripes, the sauna wrap Ibiza, or the cool, stonewashed hamam beach towel man, the sauna towel Playa or the hamam towel grey-black. Looking for a bold color? Then the hamam bath towel Classic is the right choice for you.